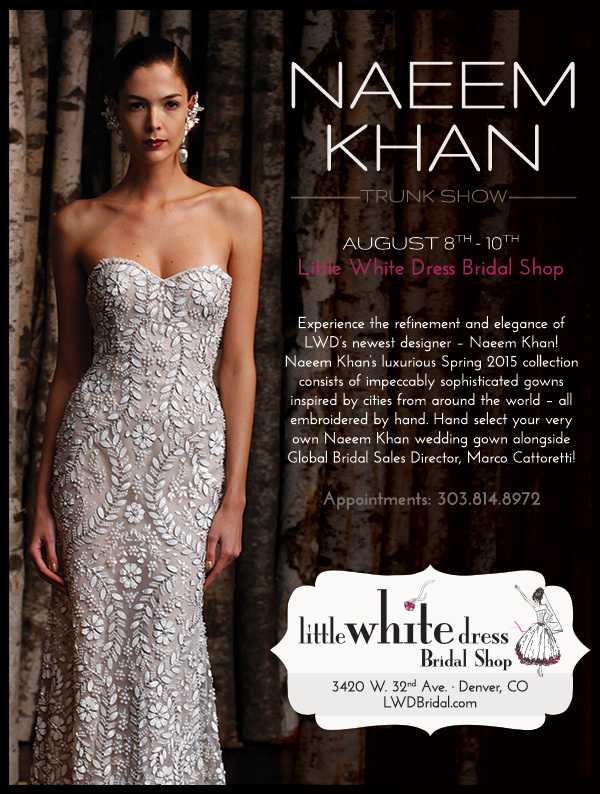 Don't miss the Colorado launch of the exquisite Naeem Khan bridal collection with a fabulous trunk show at Little White Dress Bridal Shop! Appointments are limited and fill quickly. Call today to reserve your appointment to experience the world's most impeccable wedding gowns. 303-814-8972. BIG NEWS! Wedding Shoes are Now at Little White Dress!